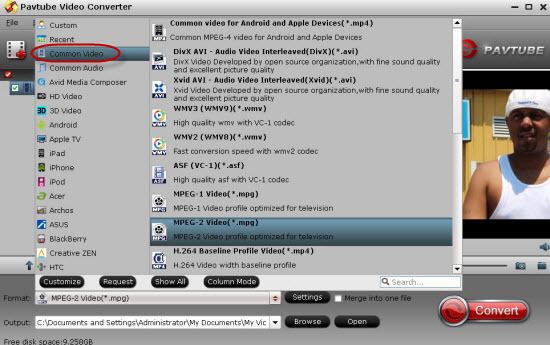 ← Alternative Freemake Video Converter for Mac?— Pavtube Studio! Fall in love with editing, plying and uploading your wonderful video moments to enjoy yourselves or share with good friends? Well, you will become the lucky one because we are going to discuss the topic on what’s the best codec for video playing, editing and uploading. What’s more, we will also introduce the best video converter here so do not worry about those incompatible videos. Cool, right? 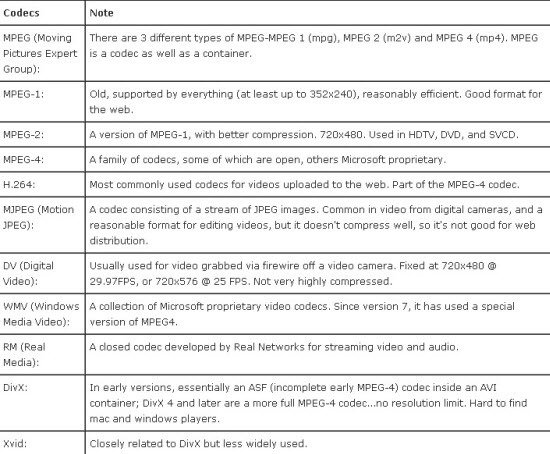 MKV: It shall be mentioned that MKV is rather a container than a codec, which is the most popular container for high definition content. It simply stores the bytes from a codec in such a way that MKV-compatible applications know where to find the video, audio and subtitle data (if present) for playback instead of encoding and decoding the video data. As a result, you have the option to take the video codec like H.264, MPEG-4 and VP3, all of which use similar technology, but the first two are far better than the third. H.264 and MOV: Prior to the encoding job for Apple’s portable device like iPhone, iPad or iPod, for instance, if you want to encode video for playing on an iPad, scaling the original video clip to 1,024*768 will make good sense as the iPad has a native resolution of 1024×768. It shall be notified that if you want to make the job of choosing a codec easier with the best video quality for your iOS device, the video files shall abide by Apple’s codec discipline. For the best video codec on your Apple devices, you are recommended to choose the video codec H.264 and MOV container. Part 3. How to deal with incompatible codecs for playing, editing and uploading? 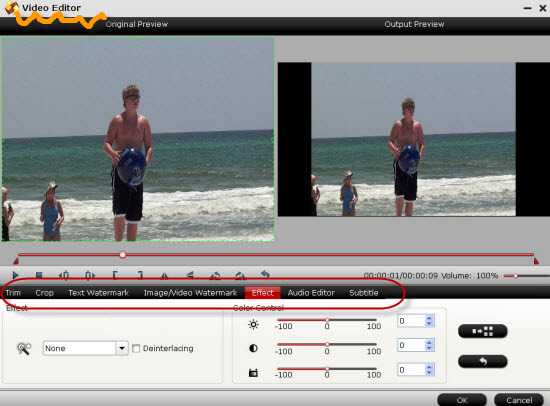 Brief guide you can take a reference to convert video codec to be available for editing, enjoying and uploading with this video converter. Step 1. Download the program and install it on your computer. Open the main interface, click the ‘Add video’ we can easily load our original files in. Step 2. Choose your wanted output video codec on the output list pressing the ‘Format’ bar there. In the ‘Common Video’ and ‘HD Video’ column, we may search almost all there. What’s more, especially for popular NLEs or media players, why not drop down the list to get more? Tips: Want enjoying movies with higher quality and smaller size? I have to mention here with the latest version of the Windows version, this program can support the H.265/HEVC videos encode/decode well. Let’s have a try. Step 3. Adjust your output videos in your own style? Why not get into the ‘Edit’ button on the main interface? Here, with the functions like ‘Trim’, ‘Crop’ or ‘Subtitles’ etc. Finally, if you have done all the preparation work, it’s time to hit the ‘Convert’ to start our conversion job. No matter for editing, playing or uploading, with this easy to use program, are you still worried about the incompatible videos? Come on! Let’s move on! I will right away grasp your rss as I can’t in finding your email subscription hyperlink or e-newsletter service. Do you’ve any? Kindly allow me know so that I could subscribe. Thanks. it gets 5 stars because it is easy to use and convert videos from any web address. I can make multiple videos into one. Thanks Pavtube!